Showcase your PC build while getting quick access to your components with the MATREXX 70 Mid-Tower ATX Case from Deepcool. Compatible with E-ATX, ATX, Micro-ATX, and Mini-ITX motherboards, the MATREXX 70 boasts side and front tempered-glass panels, and the front panel can be released by pressing a single button. The case comes with two 3.5" and four 2.5" drive bays, along with a pre-installed 120mm rear fan. A radiator holder makes it easy to install liquid coolers and fans, while the tempered-glass CPU shroud is removable. A magnetic top dust allows for easy removal and cleaning. The side panel is supported by a groove and two screws, making for easy installation while helping to reduce the risk of cracking. When the "Open" button on the side of the case is pressed, the front panel is released and held at a 5° angle for easy removal. The bottom of the front panel is hooked to case's structure while the top is locked by a spring buckle. The radiator holder simplifies the installation of liquid coolers and replacement of the radiators, particularly when installing radiators or fans on different sides of the holder. The holder supports radiators up to 360mm or up to three 140mm fans. The tinted tempered-glass CPU shroud is removable, while the power shield supports an LED strip (not included). The MATREXX 70 features air intake vents at the front and bottom, plus exhaust vents at the top and rear. A 15mm-wide front intake hole combined with low-friction mesh material help to optimize airflow. Dust filters are installed at the front, top, and bottom of the case. The top filter has a magnetic fitting while the front and bottom filters slide into place. A total of six 2.5" drives or four 2.5" and two 3.5" drives can be mounted into the MATREXX 70. Two SSD bays are fixed at the back of motherboard tray for quick installation. Two relocatable and removable 3.5/2.5" hard drive bays are mounted at the bottom of the case. If the drive bays are removed, two 120mm fans can be installed in their place. 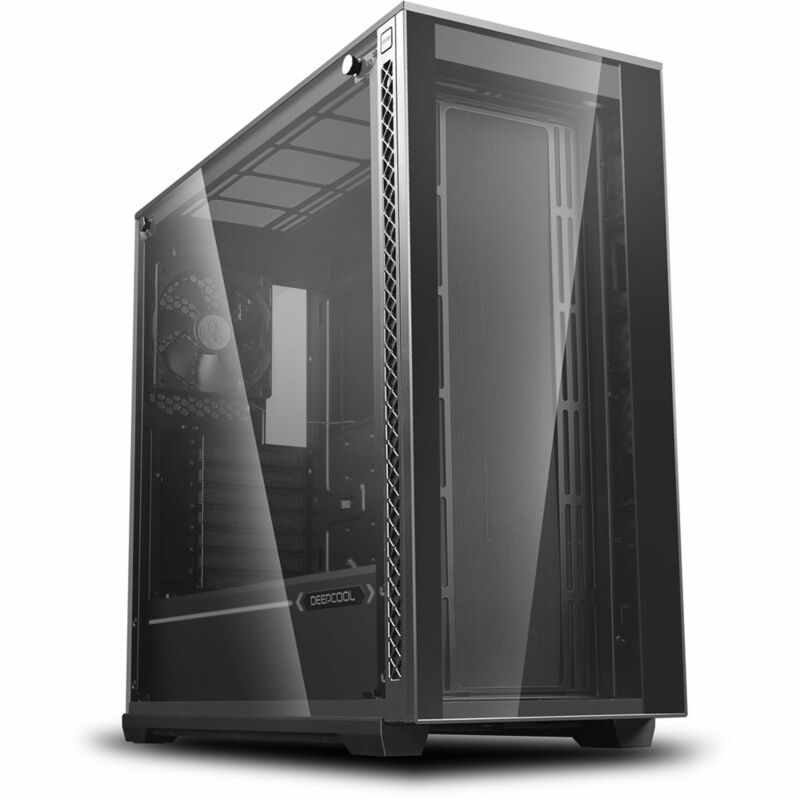 The case offers 4.7" of tower room and 1.2" of rear clearance, ideal for cable management.